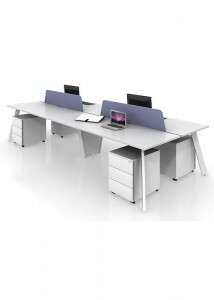 The Dia line of workstations on offer at Ideal Furniture provides a variety of different collections to suit the needs of your office and your employees’ preferences. Constructed with sleek, modern design, these contemporary workstations can truly elevate the look of your office, making it into a place that your employees will love spending time in. 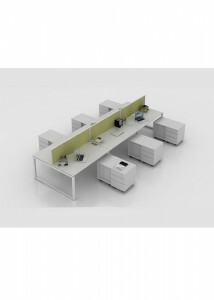 The Dia OXO collection lets you rearrange and customise your office layout with ease. The desks, workstations, and partitions can easily be reconfigured, allowing you to switch up your office or conference room as necessary to suit a wide range of needs. 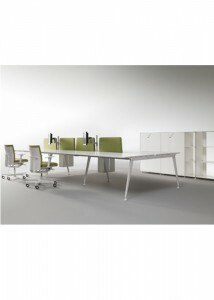 The Gen-X collection was designed with the modern collaborative work space in mind. 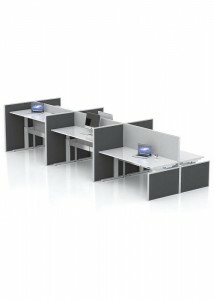 Low privacy screens separate the individual desks, which can be configured to accommodate anywhere from two to eight people. The workstations allow ample space for under-desk storage as well. With the Gen-Y collection, you can choose from a wide range of configurations and privacy screen sizes to accommodate the way your employees prefer to work. 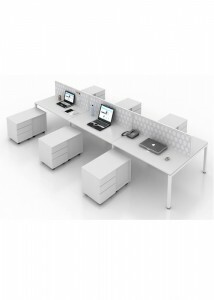 With sleek, simple design, these workstations look great without creating any distractions. The Gen-H collection features electric height adjustable workstations, allowing your employees to sit or stand at their desks as they choose. Browse through our selection today to redesign your office.